Barns Cabinsis vintage for you? Barn Cabins Are Roomier Than Deluxe Cabins For Added Storage Or Sleeping Lofts! 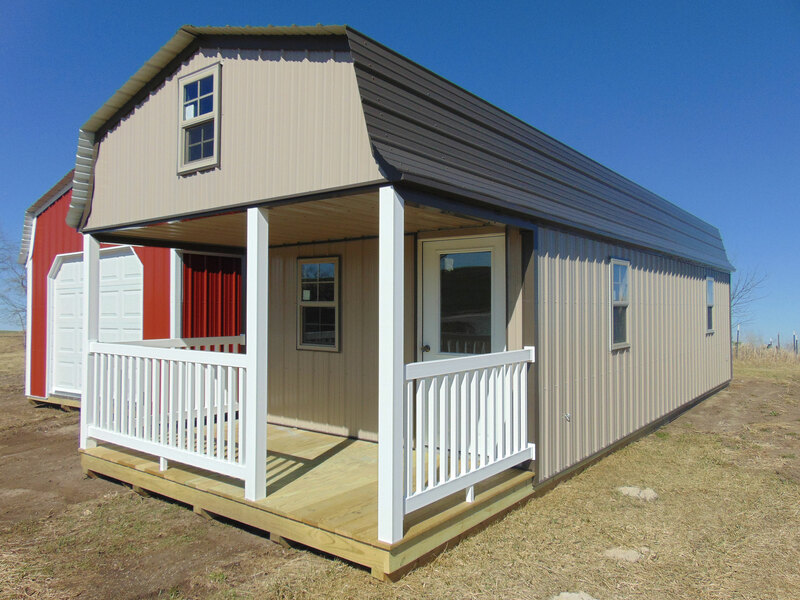 With Barn Cabins you’ll have the added space of the hip roof allowing for an 8′ loft in front and back! A single easy moveable loft ladder allows you access to each end of your spacious loft. Add A Beautiful Wooden Railing To Your Porch! A beautiful 6′ porch is included in the length of your building to add a wooden railing to. Your 6′ porch does not add any length to your building, but has endless options and uses for. FOR EXAMPLE: If you purchased a 14′ x 32′ Barn Cabin your indoor cabin area would be 14′ x 26′ + a 6′ useable loft over your porch. A 6′ covered porch is under your front loft. To give it the look you are looking for choose your placement of the four standard aluminum windows and a 36″ 1-Lite Steel Entry door.